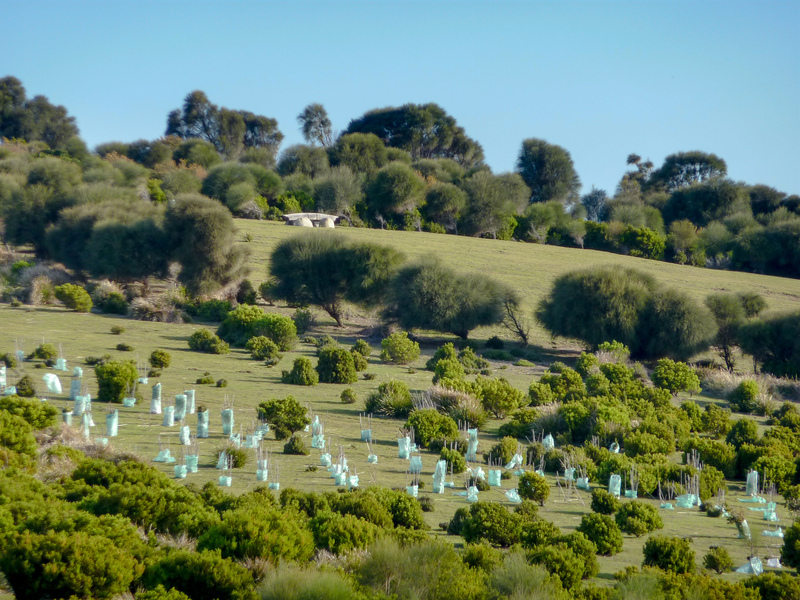 For more than 20 years, Peter Adams has planted more than 9,000 trees at Windgrove’s 65 acres. Previously the land had been decimated by decades of unsustainable farming. 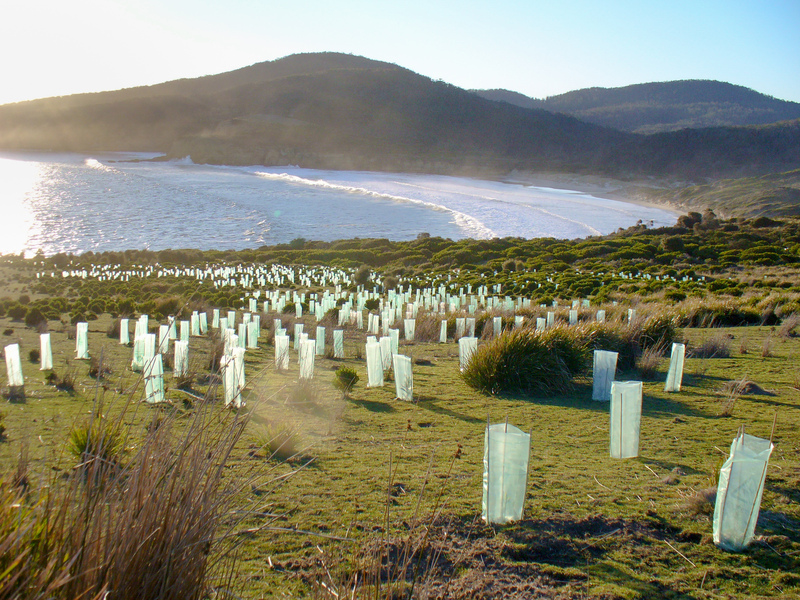 Planting trees was one way to start the healing. The land becomes a canvas and the trees become the brush. 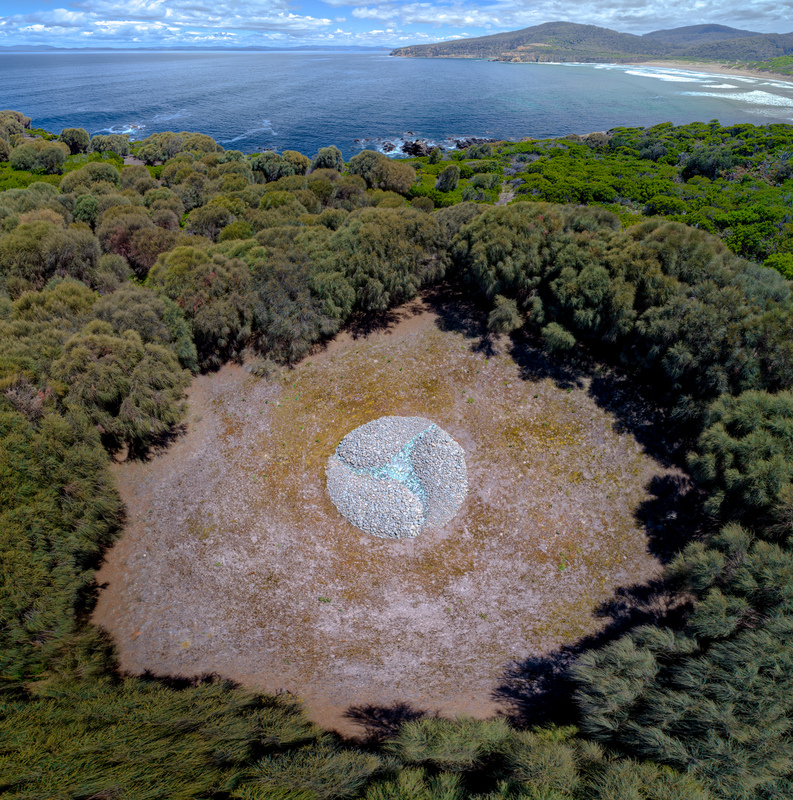 Peter – without drones, airplanes, surveying equipment, or google satellites – started making patterns. The circle became the shape of power. 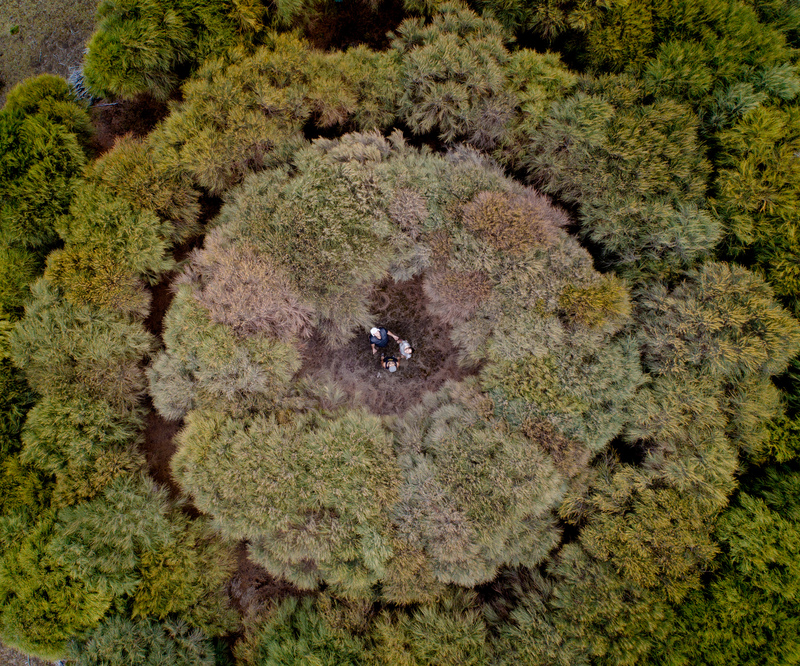 This post is a collection of aerial views of the circles and old photos of Peter planting trees. 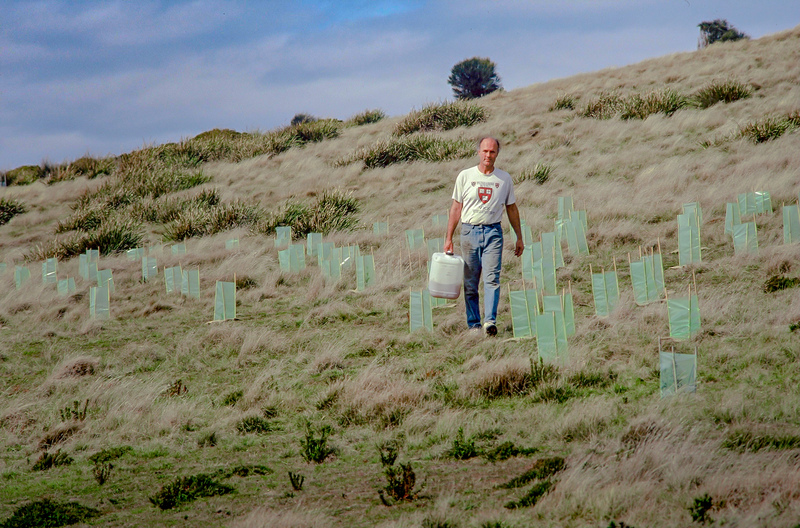 Peter Adams in the early 1990s wearing his Harvard Tee Shirt, carrying water for the trees. 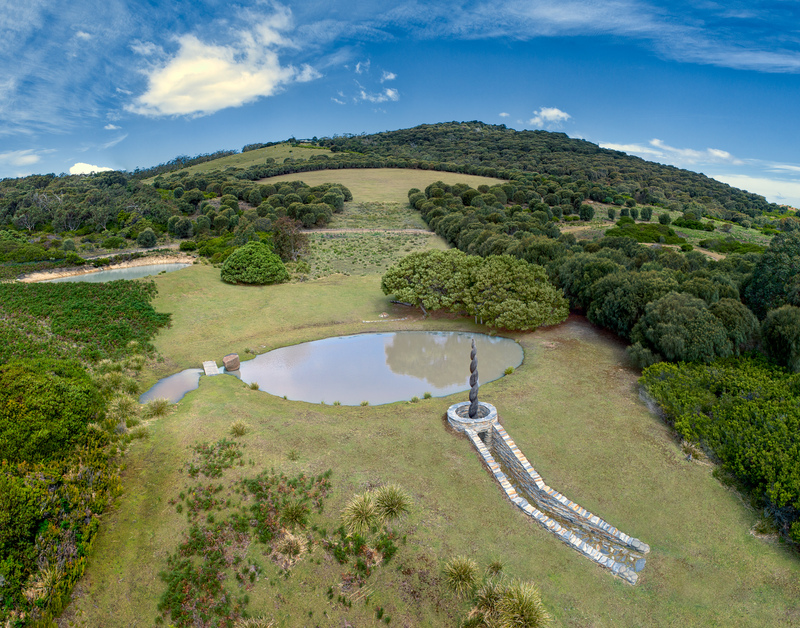 Handmade pano from photos showing the early barren land and the start of tree plantings. Early 1990s. The land with no trees and planting starts. Early 1990s. 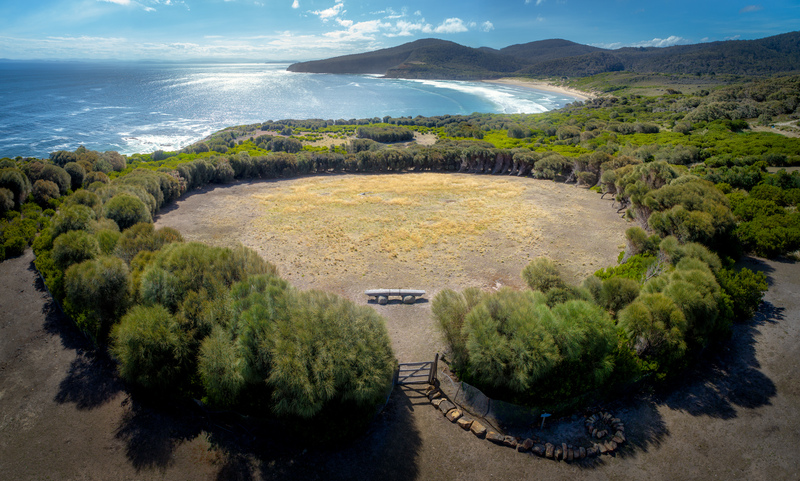 Looking in the direction of the future Wombat Circle. 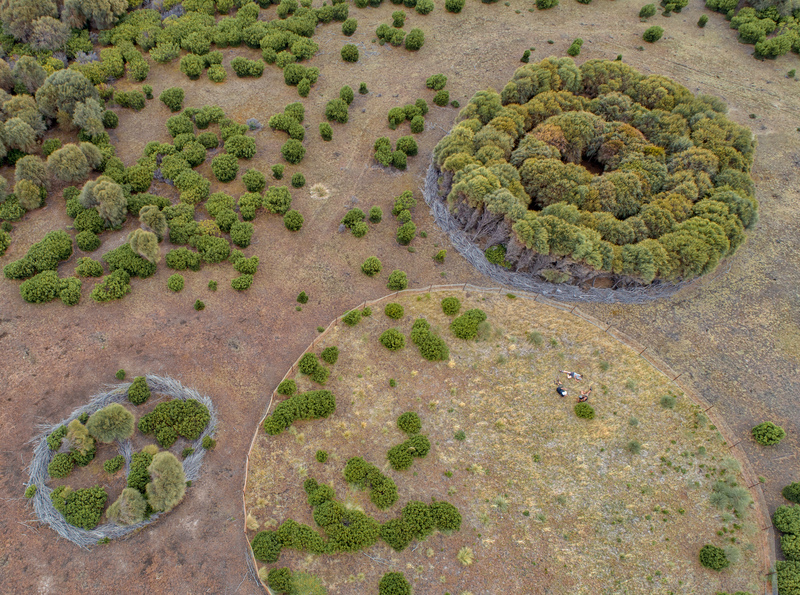 And here is a photo of Wombat Circle a decade ago as trees are filling in the circles. 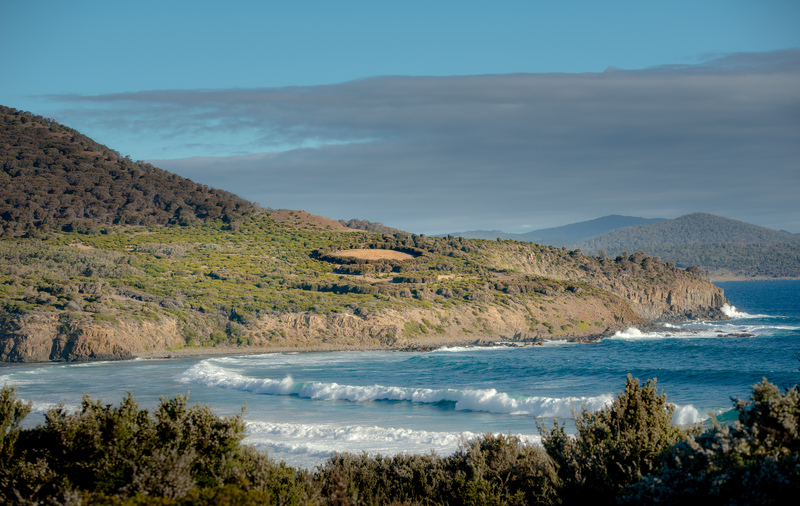 This part of Tasmania has wet and dry seasons. The landscape changes sharply in colors annually as the grasses turn green and then die to shades of yellow, orange, and red. 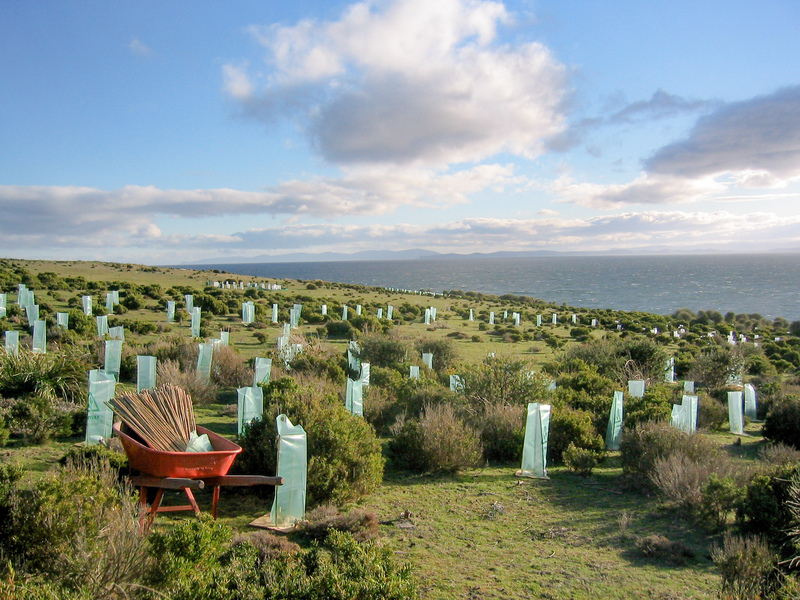 Planting trees around Wombat Circle. 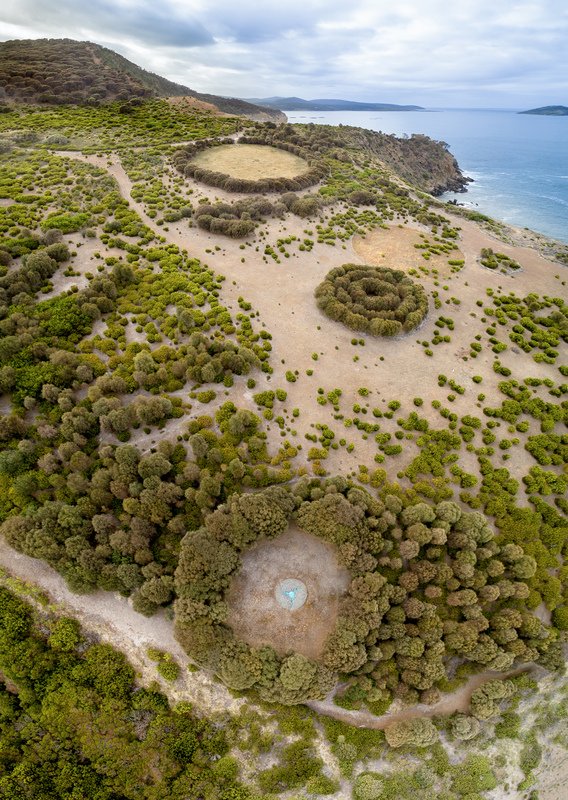 Aerial view of Peace Garden illustrating the key hole it forms with the upper circle. 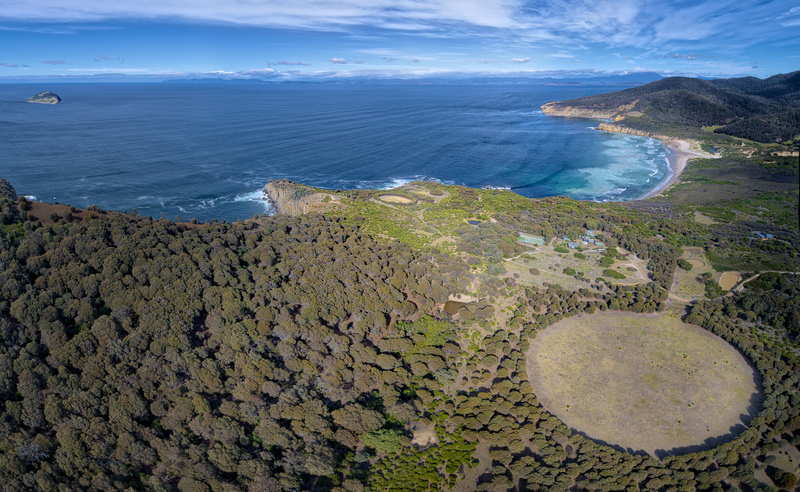 If you go to Google Maps and just type in “Roaring Beach, Nubeena, Tasmania” (it will fill it out before you get very far) and click on Satellite you will immediately find Windgrove by seeing the tree circles. So gorgeous. Really as much about time as about trees and circles. It takes a long vision to see like this. Straight to the heart.